One day when I walked into the house from the garage I noticed how ugly and boring the grey garage stairs were. 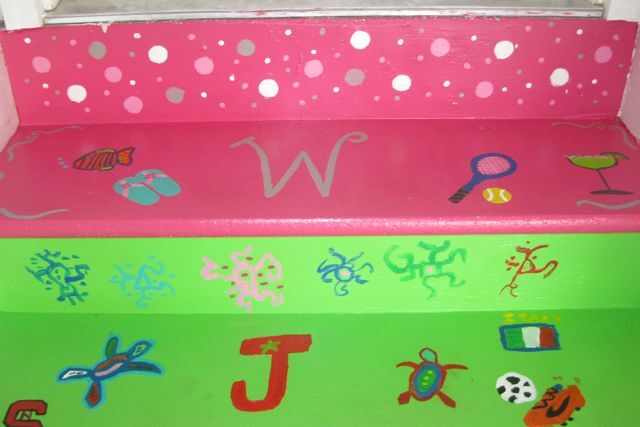 I had recently seen a photo on Pinterest of stairs decorated with written messages. I started thinking of what I could write on each of the stairs to make our family entryway into the house more inspiring. 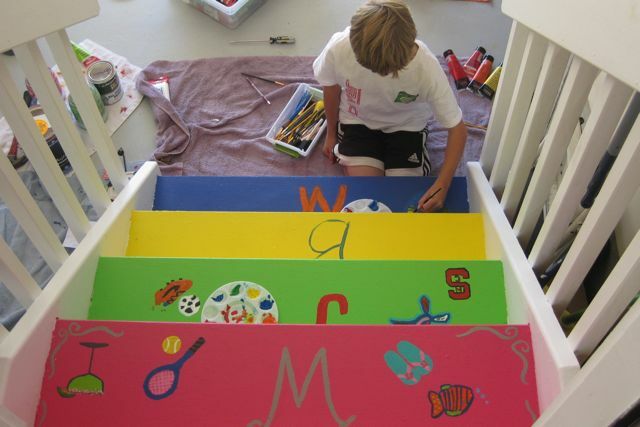 As I began planning a color scheme, a more creative and fun idea popped into my head….Let the kids decorate the stairs. I shared my idea with the kids and explained they could decorate the stairs with whatever colors, messages or drawings they wanted. They were very excited and immediately started brainstorming how they would decorate them. 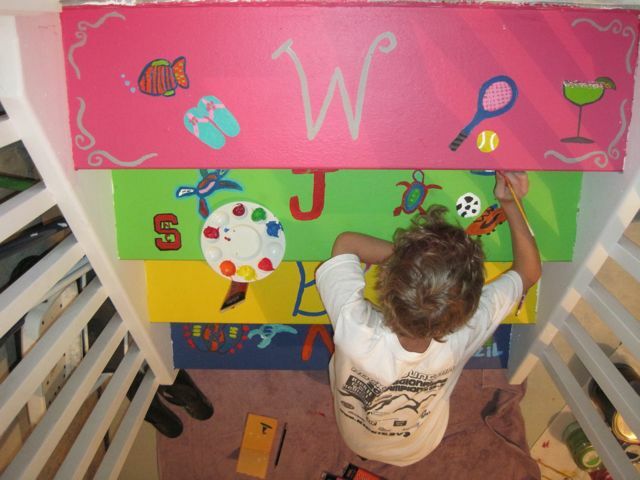 One of kids suggested since there are 4 stairs that mom and dad should decorate one too. Of course, I did not turn down the opportunity to decorate my own bright pink stair to step on as I entered the house everyday. Off we went to Home Depot to purchase paint for each person’s unique stair. We spent the rest of our Saturday artistically expressing ourselves on the stairs. It is such a fun and festive feeling to see the creativity, colors and individual personality each time we walk into the house. I can’t help but smile with each step. The boys love their stairs and that they were able to help “decorate” the house. When friends come over I love to listen to them explain why our stairs are so colorful with a sense of confidence and pride in their voices. 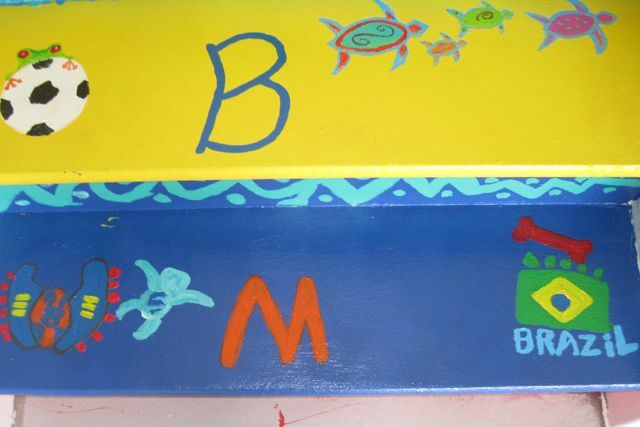 Add Color to your Garage!